4: Excerpt from Shulem Deen, “All Who Go Do Not Return: A Memoir,” 2015, and excerpt from PBS documentary, 1997. Without sarcasm or affected humor, the tone of Shulem Deen’s memoir is very different from that of Shalom Auslander. Deen chronicles his life within the Skverer Hasidic community. This includes his struggles with adjusting – socially and sexually – to being married to a stranger. 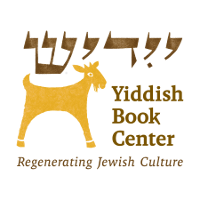 Included in this resource is an excerpt from the PBS documentary A Life Apart: Hasidism in America in which Professor Samuel Heilman, an expert on Orthodox Jewish movements in contemporary America, discusses how a young Hasidic man learns about the sexual obligations of marriage. Suggested Activity: Have your students discuss the following questions: What must it be like to enter married life with a partner who was selected for you and with whom you are not familiar (and not in love)? What disadvantages does such a system have over the courtship process that is common in secular life (dating and romance)? What advantages might the brokered-marriage system afford? Sources: Shulem Deen, All Who Go Do Not Return: A Memoir, (Minneapolis: Graywolf Press, 2015), p. 47-49. A Life Apart: Hasidim in America. (Produced and directed by Menachem Daum and Oren Rudavsky; written by Daum and Robert Seidman. First Run Features, PBS, 1997).